Search Engine Optimization (SEO) is the key to driving traffic to your Company Store. 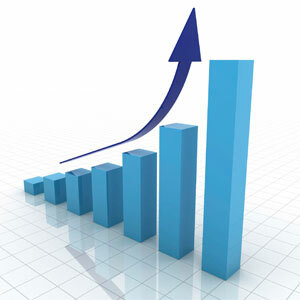 Our basic SEO services will increase your store’s visibility on the internet, and in turn, increase your sales revenue. SEO considers how search engines work, what people search for, the actual search terms typed into search engines and which search engines are preferred by their targeted audience. Optimizing a website may involve editing its content and HTML and associated coding to both increase its relevance to specific keywords and to remove barriers to the indexing activities of search engines. Promoting a site to increase the number of backlinks, or inbound links, is another SEO tactic. Epromo only offers this basic SEO service to our clients. It is an extra feature that can be added on to any new or existing Company Store. If you aren’t taking advantage of Search Engine Optimization, your Company Store is missing out on hundreds of new visitors! Click here to see a list of Upgrade Options. Google Analytics: Google Analytics can track visitors from all referrers, including search engines, display advertising, pay-per-click networks, e-mail marketing and more. This will be important to track what areas of the site are getting the most interest, where people enter and exit the site to pinpoint areas that need to be adjusted. Local Search: In addition to the main search listings, we will submit to local search listings for Google, MSN/Live/Bing and Yahoo. This will help your business be more competitive in the local, competitive search engine market. Press Release: We will submit a press release to one of the top press release sites. The press release site will post the release on major search engines – Google, Yahoo!, Bing, etc. also major online news sites like Yahoo! News and Topix. You also get permanent hosting of your release on the press release site. Plus you get targeted distribution where you choose 5 industries and 2 regions you want to reach. This will help you get picked up by Google faster than just submitting your url. Article Submissions: Similar to the press release in step 3, article submissions are a valuable way to get more exposure, credibility, traffic and back links to your site. We will write articles and submit to 10 high profile article sites. Directory Submissions: High quality back links are vital to high search engine rankings. We will submit the site to 20 quality directories in categories related to your industry. Sitemap: Sitemaps make navigating your site easier and having an updated sitemap on your site is good both for your users and for search engines. We will create a sitemap page to add to the footer of the site and also generate an XML sitemap and submit to Google to make it easier for the site to be crawled. On Page Optimization: We will go through the site and make sure title, metatags, image alt tags are formatted correctly. We will also look at the content of each page for ideal keyword density usage based on the main topics of those pages.